This is a period where development has reached the grassroots level as never before, Prime Minister Ranil Wickremesinghe said. The Prime Minister further said that development projects undertaken by the present government at grassroots level is unprecedented in the country’s recent history with more than 100,000 rural development projects currently in progress. “Around 50,000 of these projects have been implemented under the ‘Gamperaliya’ rapid rural development drive of the government and Rs.20 billion has already allocated in this regard,” the Prime Minister said. Prime Minister Wickremesinghe made these observations participating as the Chief Guest at the ceremony to grant appointments to Grama Niladaris and Administrative Grama Niladaris at Temple Trees yesterday. “Rural development is not only the responsibility of the Central Government. But, we have implemented a large number development projects at grassroots level. We need to pump in more funds to the villages to strengthen the village economy,” the Premier added. 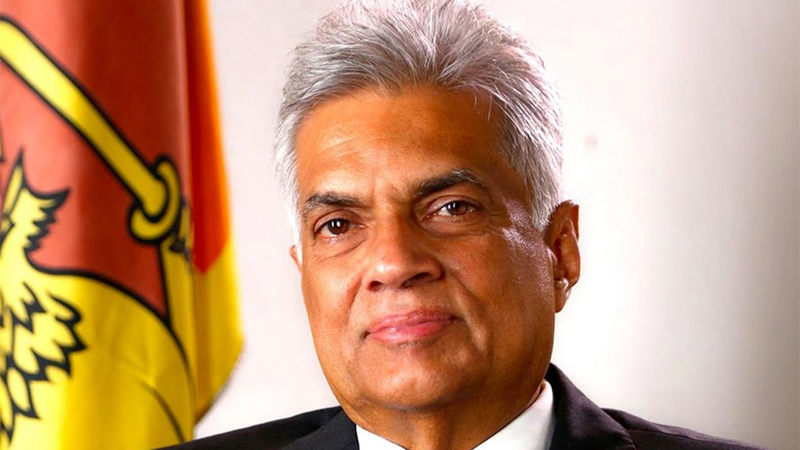 Prime Minister Wickremesinghe assured that the government is ready to confront natural disaster situations that occur as a result of climate change and also deal with the consequences of the global financial crisis. The Prime Minister predicted a growth in the country’s economy before the next Sinhala and Hindu New Year as they expected a bountiful agricultural harvest this Maha Season. “When we came to power, we had to face various challenges including the debt trap, natural disasters and the Meetotamulla garbage dump collapse. However, we were able to overcome all these challenges. Hereafter, we do not need to worry about such issues and need to be stronger in the face crisis situations. In this regard, Grama Niladari’s have to play a key role by providing necessary services to the public along with the government,” the Prime Minister said. Prime Minister Wickremesinghe further said the rural administration is very much essential to a country since it is part and parcel of the state administration. “The government has already taken measures to improve the rural economy in order to protect our villages from the effects of the global economic crisis. The entire world has been badly affected due to the increase in oil prices and the dollar exchange rate,” the Premier said. “The strong dollar weakens the Sri Lankan Rupee since Sri Lanka has no export-oriented economy. If a country can earn sufficient foreign exchange by exporting goods, the strengthening of the dollar has no impact on the country’s economy. However, the oil price hike would have a drastic impact on the economy,” the Prime Minister added. “But, today Sri Lanka has failed to earn sufficient foreign exchange. The economic crisis faced by the country would greatly affect the village economy. In order to avoid this, the government has already implemented massive rural development programmes,” Prime Minister Wickremesinghe said. “The Gamperaliya programme is one of the main initiatives taken by the government to strengthen the village economy. A large number of projects have been implemented under the Gamperaliya programme, covering every nook and corner of the country. The government has also allocated funds for rural economic development under the Decentralised Capital Budget Programme. Home Affairs Minister Vajira Abeywardena, Public Administration and Law and Order Minister Ranjith Maddumabandara and State Minister of Home Affairs J.C. Alawathuwala also participated at the occasion.